Marriage can be described as a union between a man and woman to live together as husband and wife, after they have gone through all the processes or rites that are recognized by the families of both parties. The marriage is a bond between two families and sometimes even after the marriage is broke, the bond is not completely severed. As part of the traditional marriage practice, a bride price is put on the woman to be married and this has to be paid by the groom and his family before the woman can be given to them in marriage. 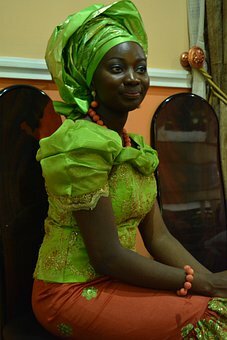 This bride price could be given out before, during or after the marriage depending on the agreement reached by both families. The bride-wealth usually consists of money, drinks, and or animals, depending on the ethnic groups or clans involved in the marriage. The bride-wealth is important because it makes the society recognize the marriage as being authentic. The man and the woman can now live together as husband and wife without attracting public scorn associated with those who cohabit. Additionally, it gives the couple the right to procreate. To bring up a child is considered as a heavy responsibility in Ghana let alone to bring up a good girl. It is believed that after a girl has been trained by the family, the family deserved the services that the girl can offer in the house, on the farm or in business. All these the family is losing to the husband and his family. The bride-wealth is therefore to serve as a form of compensation to the family of the girl for the loss of her services. The payment of the bride-wealth indicates that approval has been given for the man and woman to live together as husband and wife. It is a way of sealing the marriage bond between the two families. On the part of the man, he now has legitimate rights over the sexuality of the woman. The man takes control of the economic and domestic services that the woman is capable of offering and generally takes over in matters relating to that family. On the other hand, the woman gains the right to be catered for and protected by the husband. It is against the norms of the society to cohabit and start bearing children. Though this is common, it s frowned upon by society especially during personal conversations. To pay the bride-wealth of a woman is to confer respect on her. It also shows that the man really loves the woman. When the bride-wealth is paid, every child that is born into the said family, by the couple, has the legitimate right to be catered for. The child enjoys every benefit that is due every member of that family. He or she is given recognition as a bona fide member of that family. 1. Highlight six reasons why the payment of the bride-wealth in important in traditional marriages.